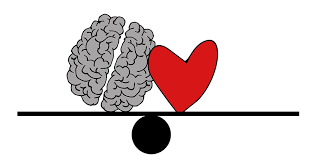 Recent events have led me to contemplate the duality of leading with the heart vs. the head. Last week, a long-time member of an executive director peer learning circle I facilitate died. Early in the fall she told the group that her cancer had returned and she began chemo again. In our early December session, she announced that she could no longer give her job the attention it deserved and she would be stepping down at the end of the year. A courageous woman, she had plans to make a farewell tour in what she thought were the months that remained. Sadly, she got only to the first stop. Her board president emailed me to let me know. In our exchange, he said that he had no script for this situation and was going on intuition. My response was that in such situations, heart and intuition are our best leaders. The head can join later, after the mourning, and as the healing slowly begins. Though the organization had no succession plan, when it became apparent that the board needed a stop gap measure, they did come up with an interim plan to put in place for the inevitable, giving the organization some time to mourn before regrouping. There are lessons in this sad situation. First, it is not wrong, a sign of weakness, or that terrible jibe, “you’re acting like a woman/girl” to lead from the heart. In fact, there are times when that is the only right way to lead, and it should never be viewed as a sign as weakness. Rather, I’d argue it is a sign of strength, confidence and a compassion – all good qualities, among many others, of a good leader. Second, a good leader models the expectations of the desired organizational culture, and that includes setting the right priorities. This morning, one of the members of the learning circle, and the only retired member of the group, in responding to the email I sent to all informing them of their colleague’s passing, reminded us all of assessing our priorities—knowing what is truly important, focusing on what truly matters, and making a difference to those we love. Advice by which to lead and love. This plays to the running conversation I have had in my head ever since hearing a partial segment from this past weekend’s Freakonomics Radio. The hour was on creativity and genius, a duo that resonates with me. Host Stephen Dubner asked someone the following: would you rather be creative or a genius? A guest on the show (I missed the identification), who was a consultant/trainer of some kind spoke of going into groups of bosses and asking them where they would want their creative employees to work: in marketing? R&D? accounting? Shouldn’t an employer want all employees to be creative? I’ve long struggled with what our society poses as the dichotomy of creativity and genius. I’ve always wanted both in equal measure. Even as I wrote my doctoral dissertation, I was still debating—and feeling the pulls—between visual artist and academic/policy wonk. Interesting at the time, but no longer a surprise, many of my colleagues and great professors spoke of experiencing that same tension. Though we find creativity more frequently than we find true genius, the reality is that not only do these two things—creativity and high intelligence (I’ll knock it down a peg) co-exist in people, we should not want to force people to pick, or feel the need to favor one over the other. We should want both, and recognize that organizations need both. In descriptions of a stellar employee you will hear—or use—words like bright, dedicated, hard-working, and more. Creative, though, is not an adjective that generally comes up, though innovative does. Why? They both introduce something different. Yet history has attached a negative connotation to creative–those “artsy fartsy” types—while giving the positive spin to innovative—the entrepreneurs and inventors. Etymology, however, suggests that while both lead to having something different, creative is, really, the more ingenious of the two. Innovative, with its roots in the Latin innovare, meaning to renew or change, starts with something that already exists, while creative, coming from the Latin creo, meaning to make or create, starts with nothing. This isn’t a hierarchy, just a recognition of difference, and the value of both. In all that we do in the nonprofit sector, and for all who do it in our sector, we will reap the greatest benefit if both the head and the heart – the creative and the genius – the script and intuition – are present.